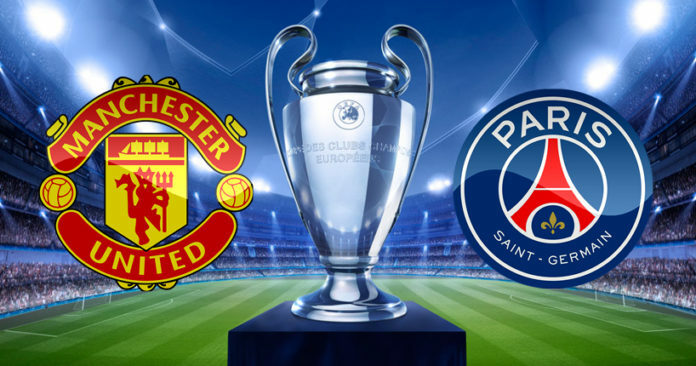 The UEFA Champions League round of 16 kicks off with a big one from Old Trafford as in-form Manchester United hosts a Paris Saint-Germain side without their stars, Neymar and Edinson Cavani. In December when the draw took place, this looked like an advantageous tie for PSG as United was struggling under Jose Mourinho. A lot has changed since the draw. Ole Gunnar solskjaer has won 10 games and drawn one in the 11 matches he’s coached since being appointed as interim manager in mid-December. Man United has seen them force their way into the Premier League’s top four, but they remain unfancied in the Champions League. Victor Lindelof is back in the squad after missing the Fulham game due to injury, meaning Antonio Valencia and Matteo Darmian are United’s only absentees with minor knocks. Midfielder Marco Verratti is available for the Ligue 1 champions having missed the last three weeks with an ankle injury. Along with Kylian Mbappe, Di Maria will be one of the biggest names on PSG’s team-sheet as the Argentine returns to Old Trafford, having spent the 2014-15 season as a United player. This will be the first competitive encounter between United and PSG. Four of the last five two-legged encounters between teams from England and France in the Champions League knockout phase have seen the French side progress. No French team has ever beaten United away from home in European competition (D4 L10). In the Champions League, only two French sides have avoided defeat at Old Trafford: Monaco in March 1998 (1-1), Lille in October 2005 (0-0). United have won only one of their last nine Champions League knockout games (D3 L5), it was against Olympiakos in March 2014 (3-0). Man Utd: De Gea; Young (C), Lindelof, Bailly, Shaw; Matic, Herrera, Pogba; Lingard, Rashford, Lukaku. Misses next game if booked: Matić, Valencia. PSG: Buffon; Kehrer, Kimpembe, Silva (C), Bernat; Marquinhos, Verratti; Alves, Draxler, Di Maria; Mbappe. Misses next game if booked: Kehrer, Verratti. The return leg will be played on March 6.